We avail our clients with our unique and precision range of Gynec Products that are made using high grade quality material matching with the quality norms and standards. Our range includes Cytobrush, Breast Pumps Electric & Manual. 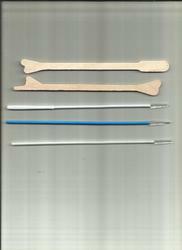 Our Pap Smear Kit are available for our clients at a very much reasonable range of prices.